We are big fans of granola in our house and usually go through a packet a week. I tend to only buy packaged breakfast cereals as a treat but I always like to have some healthier granola on hand for a quick and easy breakfast for myself and the kids. 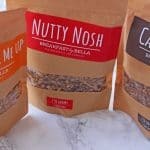 Granola is usually a lot lower in sugar than packaged cereals and with the main ingredient being oats, it’s packed full of fibre helping to keep adults and children full all morning. 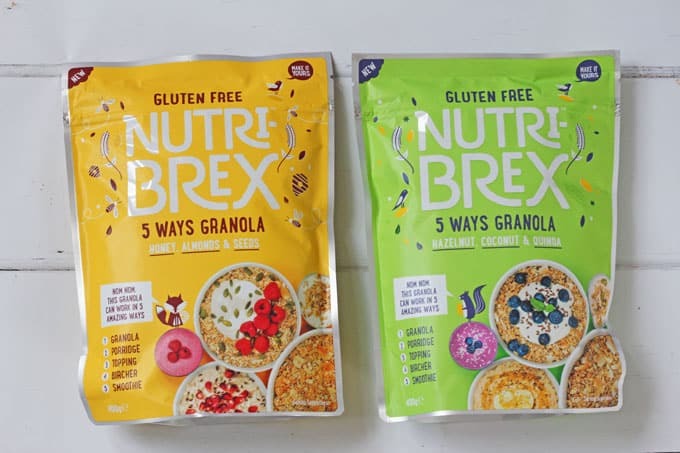 So when Nutri-Brex got in touch to see if I wanted to try out their “5 Ways Granola”, I was really keen to give it a go. This new range of granola is gluten free and low in sugar and comes in two flavours: Hazelnut, Coconut & Quinoa and Honey, Almonds & Seeds. 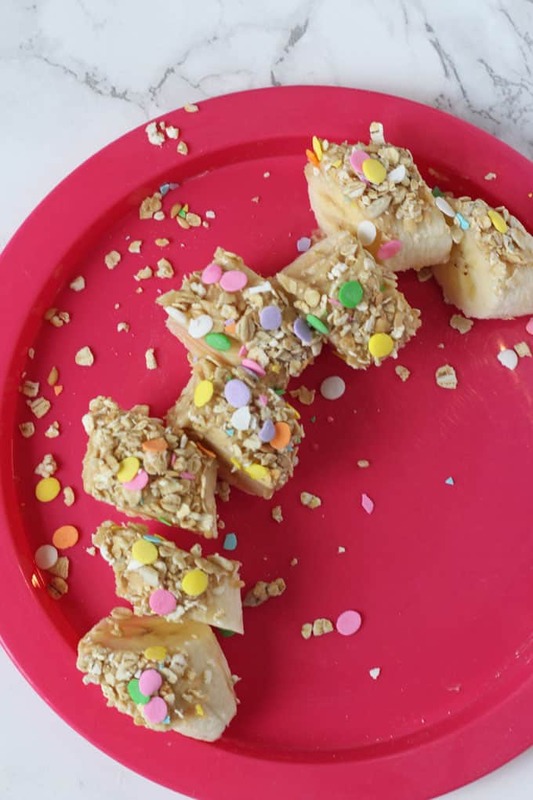 Banana Sushi is a really simple but super healthy snack that I give to my kids a lot and this time I decided to add some 5 Ways Granola to the top to make it even more nutritious and filling. Simply take one banana, spread on 1 tbsp of peanut butter and then add about 2 tbsp of granola on top. Finish off with a sprinkling of confetti sprinkles to add some colour and fun! 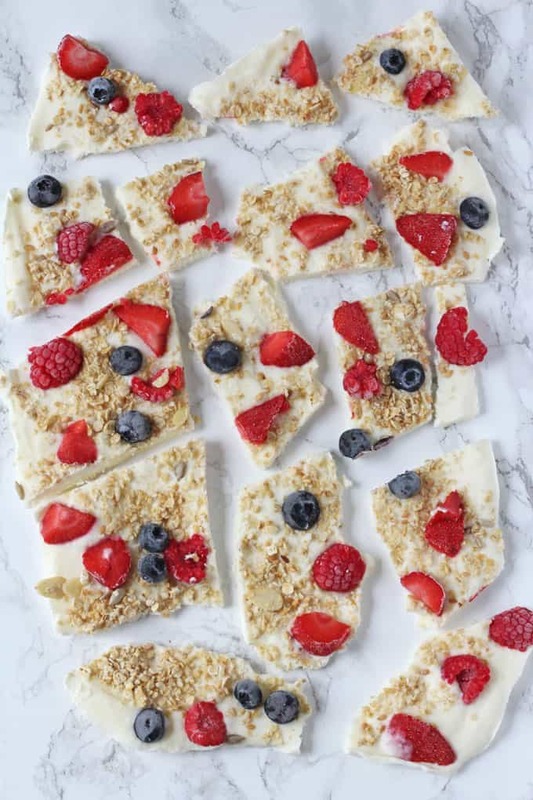 I’ve been making Frozen Yogurt Bark for years but this time I tried it with some 5 Ways Granola and the result was so delicious! 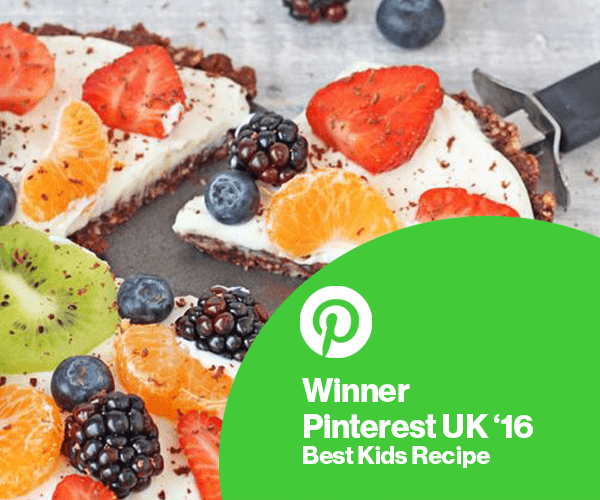 It makes a really healthy snack for kids and you can even serve it for breakfast for something a little bit different. Mix 400g of plain greek yogurt with 2 tbsp of honey. Line a large dish or tray with tin foil and spread the yogurt onto it. Top with 3 tbsp of granola and also some mixed berries (I used strawberries, raspberries and blueberries). Pop the tray into the freezer for about 4 hours or until frozen solid, then take it out and cut into chunks. So delicious! 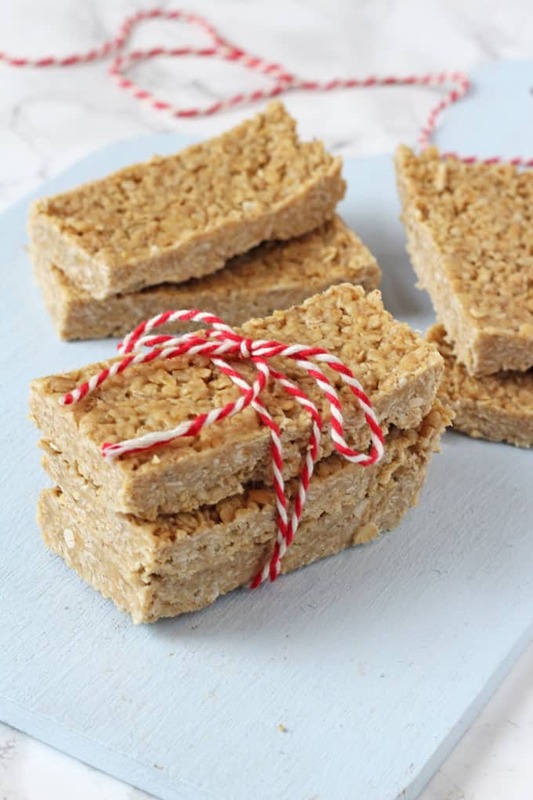 My kids are usually starving when they get home from nursery and school and homemade granola bars are always a great snack to have on hand to feed them quickly. My recipe for these granola bars is no-bake, making it super simple to whip up! Mix 100g of oats and 75g of 5 Ways Granola in a bowl and put to one side. In a saucepan add 60g of coconut oil or butter, 100g of peanut butter and 3 tbsp of honey. Simmer gently on a low heat until all these ingredients have melted down then remove from the heat and pour into the bowl with the oats and granola. Mix everything together well then transfer into a dish (I used a 8×8 inch dish) lined with parchment paper. Press down firmly then freeze for 30 minutes until solid. Cut into 8 large or 16 small pieces. Yum! 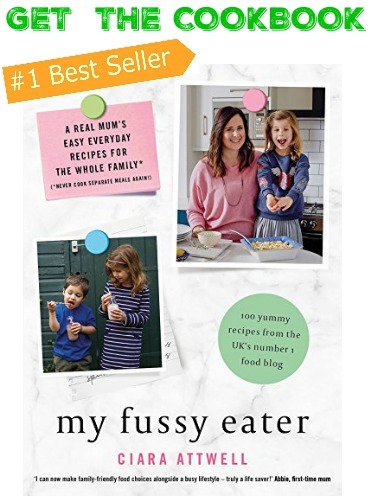 I really struggle to get my kids to eat chicken unless it’s in some kind of nugget form! So I try as much as I can to make my own chicken nuggets at home. 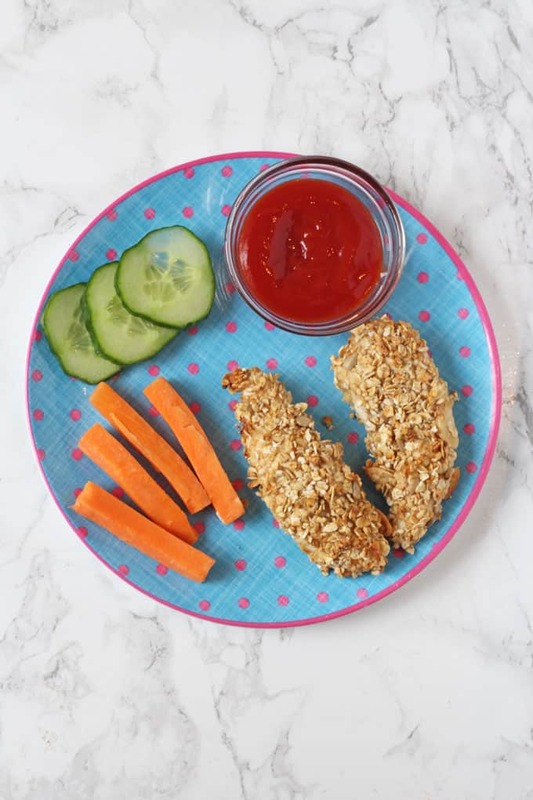 Instead of using breadcrumbs, I decided to use 5 Ways Granola as the coating on these nuggets and the result was so delicious, both kids cleared their plates! In a bowl crack two eggs and whisk with a fork. In another bowl mix together 150g of granola and a little salt and pepper. Take 400g of chicken mini fillets or diced chicken breast, dip each of them first in the egg and then coat in the granola. Once all the chicken has been coated place them on a lined baking tray and cook in a 180c oven for 25-30 minutes. The granola creates a lovely crunchy coating on the chicken without any need for oil. 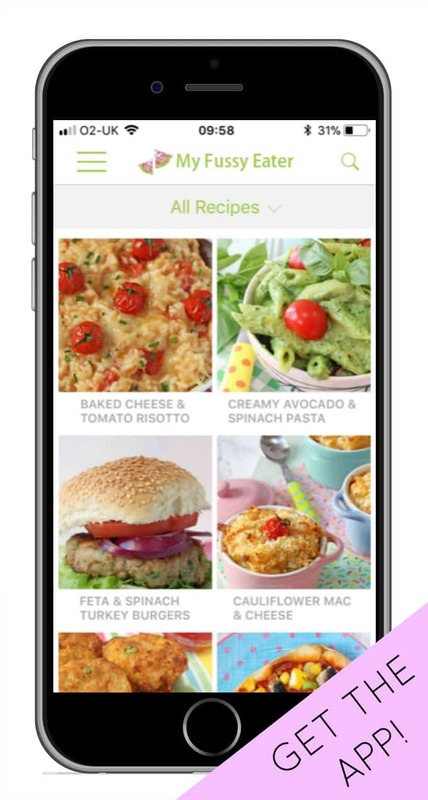 Delicious and super healthy too! My final way of using 5 Ways Granola is in this recipe for Granola Bread. I know a lot of people (myself included!) 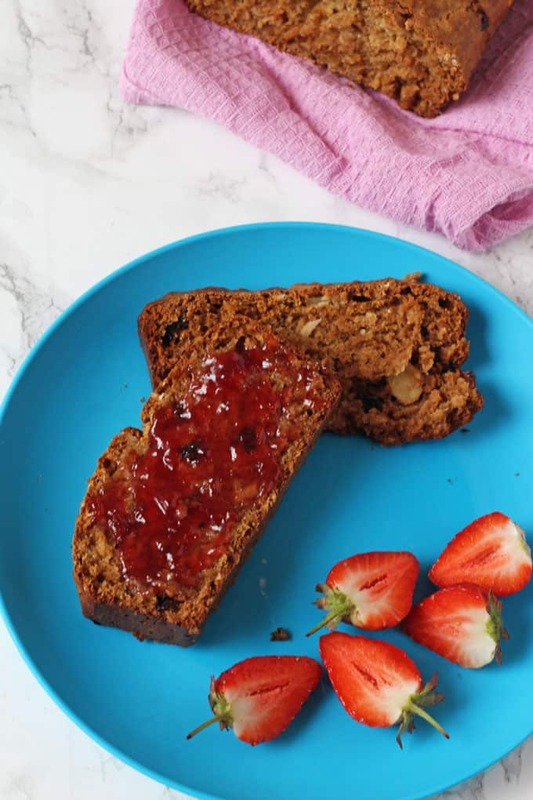 can be put off making their own bread at home when you need to use yeast and then let it prove, etc but this recipe is so easy and makes a really healthy and delicious bread to serve to kids for breakfast or tea topped with a little jam or honey. 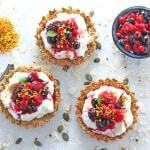 In a large bowl add 150g of plain flour, 100g of wholemeal flour, 100g of granola and 1 tsp of bicarbonate of soda. Mix well. In a jug pour in 250ml of milk, 125g of plain yogurt, 2 tbsp of honey and 1 tbsp of sunflower oil and again mix well. Add the wet ingredients to the dry ingredient and mix until combined. Finally add 50g of raisins (this is optional and they can be left out!) and stir one more time. Grease a 2lb loaf tin well and pour the bread mixture into it. Run a knife down the centre of the loaf lengthways and then bake in a 180c oven for 50 minutes or until a skewer inserted in the middle comes out clean. Leave to cool for a few minutes in the tin before turning out onto a wire rack to cool completely. 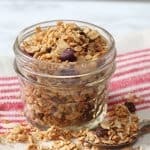 I really hope you enjoyed my 5 surprising ways to enjoy granola and that it inspires you to try out some creative ways of eating granola. If you have more ideas please do let me know in the comments below. 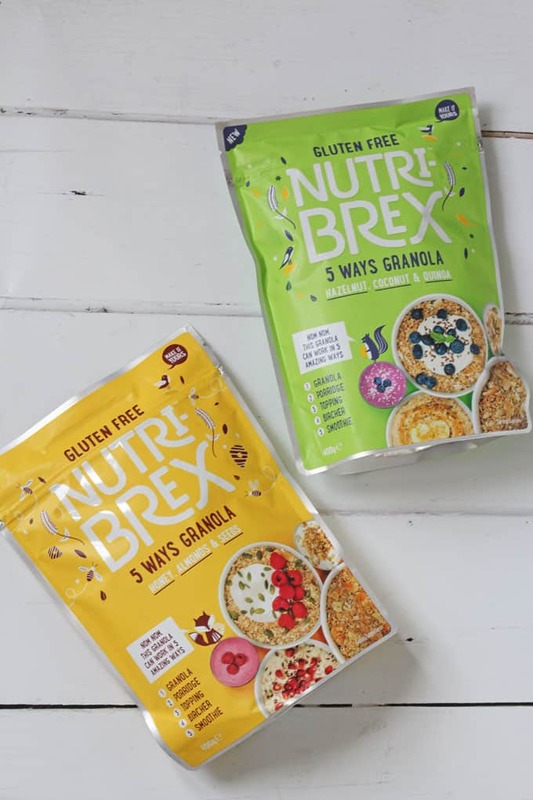 Nutri-Brex 5 Ways Granola is available to buy from Ocado, Morrisons, Asda and directly from www.nutribrex.co.uk at £3.49 per pack. 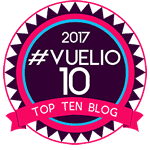 Disclosure: I have been compensated for my time spent working on this campaign but as always all thoughts and opinion are honest and are my own. Granola banana sushi looks cute!